Gareth Bale is set to hand Wales a Euro 2020 fitness boost despite picking up an ankle injury. The Real Madrid ace, 29, turned his ankle in the closing stages of the Champions League last-16 exit to Ajax on Tuesday night. Bale was left hobbling for the remaining minutes as the Dutch side clinched a stunning 4-1 win at the Bernabeu. SunSport understands the forward is expected to miss Real’s La Liga clash against Valladolid on Sunday but be available for the home fixture with Celta Vigo on March 16. And that means Bale should be fit when Wales face Slovakia in their Euro 2020 qualifying opener in Cardiff in 17 days time. Ryan Giggs’ men also have a friendly against Trinidad and Tobago in Wrexham on March 20, four days before their Euro campaign kicks off. The injury is a blow for Bale, who has received fierce criticism from Real fans in recent weeks. The £86million forward was jeered by supporters of the Spanish giants during the El Clasico defeat to Barcelona last weekend. 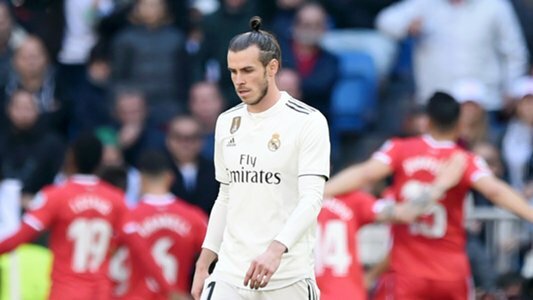 Bale was thrust into action in the first half against Ajax after Lucas Vazquez picked up an injury. Yet Bale’s Wales boss Giggs insists he has no worries over how his talisman will deal with the latest wave of criticism in Spain. Giggs, speaking at a Champions League trophy tour event in South Africa earlier this week, said: “It’s something you have to accept when you go to Real Madrid. “You saw the original Ronaldo, Cristiano Ronaldo, at some point they get a bit of stick because that’s the sort of club Real Madrid is. “Gareth Bale has won four Champions Leagues, he’s scored in two (finals), scored the winner in one. someone or have a go at someone.